The people demand the downfall of the regime! As U.S. Navy strategy enters a new phase of revival it would be wise to prepare ourselves for future debates. However, writing about strategy is a daunting task, so I took as an exercise and example something that could be treated more lightly, especially during summer months. I asked myself, “What helped Eastern Europeans effectively resist communism?” and whether there was any strategy behind it. After a short conversation with friends, what emerged was that the important factor in defeating communism in Poland was a sense of humor. And yes, there was a sort of strategy behind it, which is even more interesting considering the lack of any structure or organization that would have supported it. Everything began as a simple self-defense against the overwhelming frustration from the inability to control one’s own life under the ruling Communist Party. The Party had almost total control over our material lives. Yet a sense of humor and laughter quickly evolved into a kind of massive resistance, and the last years of so-called “real” socialism in Poland was even a time of true renaissance of cabaret. Now let’s apply military language to this phenomenon: we essentially observed groups of insurgents (such as the audiences of cabaret performances, or even just friends making jokes about the Party) creating ad hoc and unpredictable patterns using humor as a weapon. The weapon was widely available and its nature very asymmetric. An official ban on humor only, and immediately, generated extra salvos of laughter. 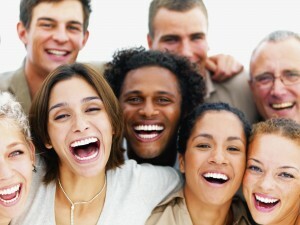 The Party was embarrassed — instead of being feared, it became the subject of the people’s laughter. This marked a shift in people’s attitude, with consequences far beyond just making Party people angry. This strategy, used by a large part of the population, was called “inner emigration”. As I mentioned, the government was able to control the material aspects of our lives, but the intellectual and spiritual lives were beyond their reach. So changing the focus from physical wellness to intellectual activity was like defeating the enemy’s doctrine in the best spirit of Sun Tzu’s teaching. 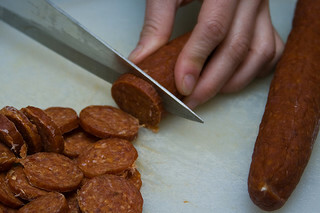 Another technique popular in Eastern Europe is “salami tactics.” This occurs when an opponent divides an enemy slice by slice. Each slice is so thin that it doesn’t trigger a reaction until there is no more salami. The international application was demonstrated in the traditional “divide and conquer” approach of Hitler’s Germany, whereby the major powers thought they could appease the government by allowing it to absorb smaller neighbors a slice at a time. In Poland the communists took control of our material life, slice-by-slice, by introducing a series of small regulations that were individually unnoticed by the public. The final result was the same as making one big move. These tactics are potentially very effective against an opponent abiding by rules of proportional response. Breaking one of the initial, small rules would be considered escalating both violence and risk to an unacceptable level. So how do we defend against salami tactics? One way is to convince an opponent that we do not have salami at all. This translates to strategic deception, which is very difficult in execution, especially in the long term. Another approach would be to take our salami out of an opponent’s reach, like the Poles did with inner emigration. They physically remained within Poland and subject to the rules of the Party, but their most robust undertakings retreated inwards to spiritual and intellectual pursuits, and where their loyalty was much harder to control or attain. Both are examples of defensive strategies, meaning the object is to deny opponents their ability to achieve their positive goals. They were well adapted to the situation of the people in Eastern Europe, but inappropriate for the stronger side in a conflict. An example of a positive or offensive strategy would be to look for opportunities to apply salami tactics against an opponent. But the question is what does the other side consider salami? Answering this question is like linking something pleasant (salami) with useful (strategy) and hopefully appropriate for the summer holidays.